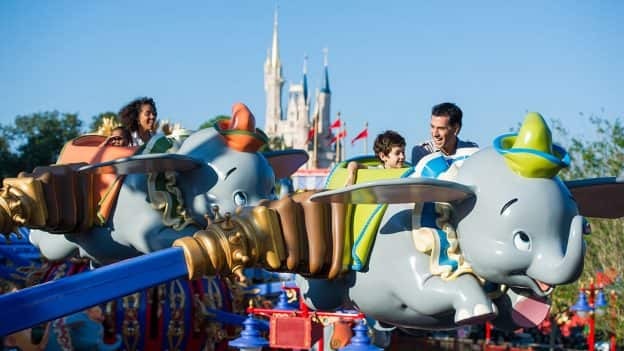 As we previously announced, on Oct. 16, Walt Disney World Resort launched a new online vacation-planning destination and began offering date-based tickets and pricing. Guests are also able to purchase tickets using an interactive online calendar, which displays different ticket prices based on the dates they choose to visit. Check out the video below for a quick overview on how this works – it’s easy and simple. Compared to previous pricing*, some tickets have decreased, increased or stayed the same, depending on the start date and length of the ticket. 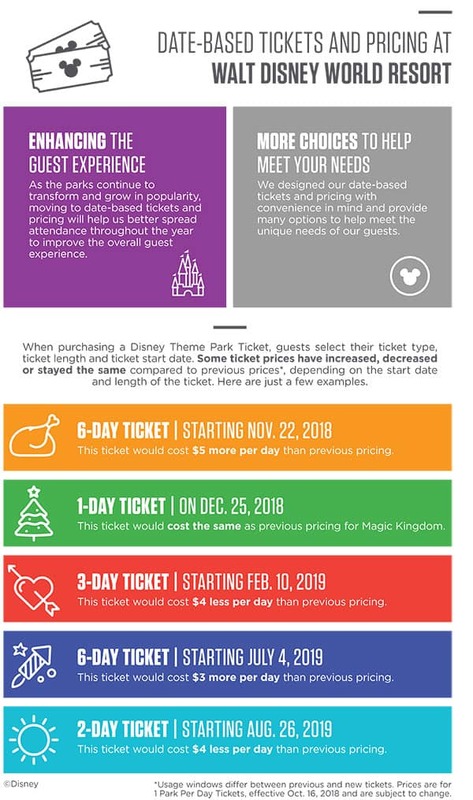 For example, a guest purchasing a 3-day ticket with a start date of Feb. 10, 2019 will now actually pay $4 less per day than they would have before. A Guest purchasing a 6-day ticket with a start date of this Thanksgiving will now pay a little more – an average of $5 per day – since it’s one of the most popular times of year to visit. 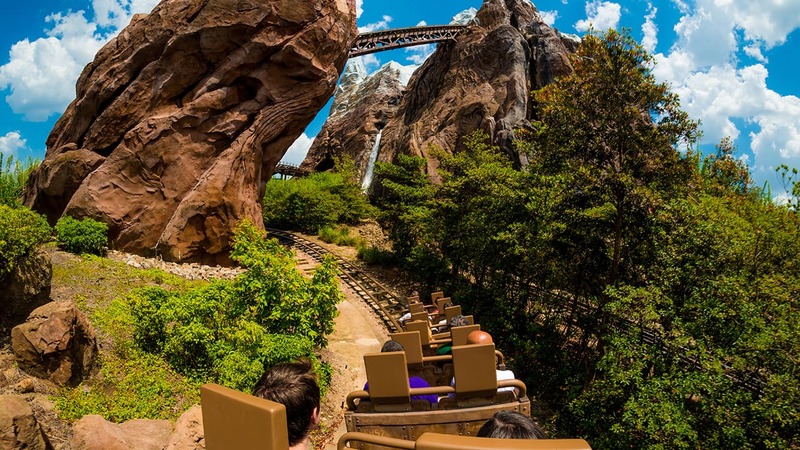 As our parks continue to increase in popularity, this new pricing model is part of our broader efforts to better spread attendance throughout the year, and is intended to help us improve and deliver a great experience for our guests. We continue to grow with industry-leading immersive lands like Pandora – The World of Avatar at Disney’s Animal Kingdom and Toy Story Land and the upcoming Star Wars: Galaxy’s Edge at Disney’s Hollywood Studios, and we’re also looking forward to opening even more attractions that take creative storytelling to the next level. 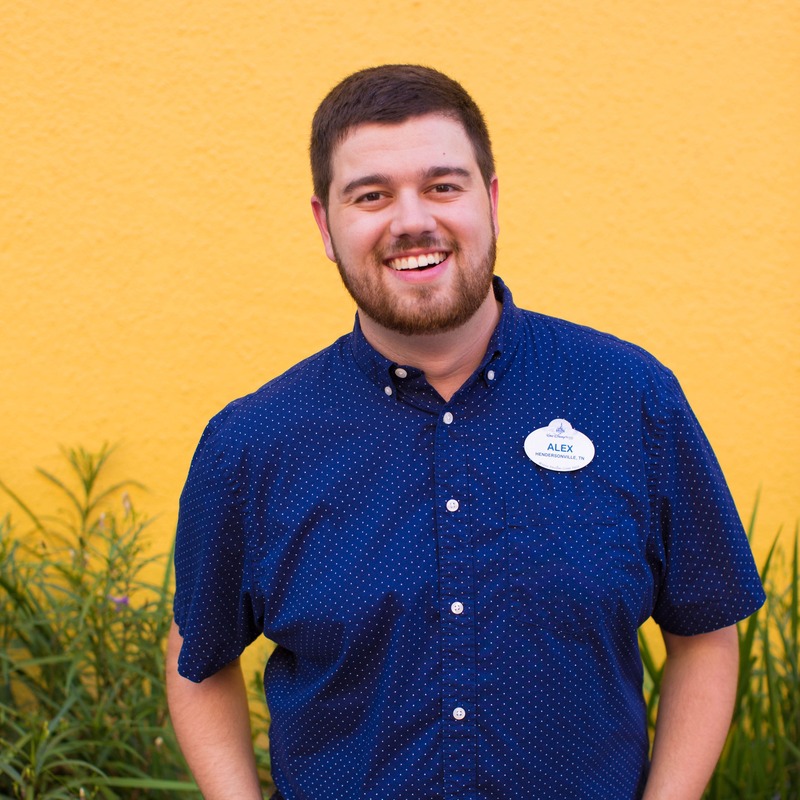 Once your ticket is purchased, you are able to continue planning your visit with the newly-refreshed My Disney Experience, the one-stop shop for your Walt Disney World Resort vacation, where you can view or change your tickets, book dining reservations, make FastPass+ selections and more. For more information on date-based tickets and pricing, please visit our FAQs page. *Usage windows differ between previous and new tickets. Prices are for 1 Park Per Day Tickets, effective Oct. 16, 2018 and are subject to change. ^^^^^^ That hasn’t been my experience at all. We have made adjustments in the park, but it’s usually to get a different fastpass, because we were able to ride something before our fastpass time. The 5 P’s rule the day. Thanks, but no thanks. Disney company is not making planning a breeze. Even if you plan with your tools, you end up with your nose in a cell phone while you are in the park adjusting what was planned six months ago to the real time experience. Just more stress which you go on vacation to get rid of in the first place.